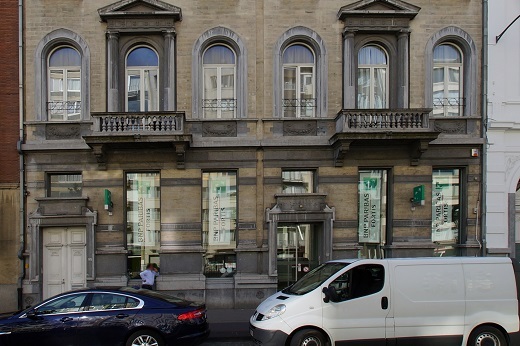 RAPAPORT... Thieves have broken into a bank vault near Antwerp’s diamond district, with some clients in the dark about whether their goods have been stolen. Daring burglars entered the BNP Paribas Fortis secure area via a sewage pipe on Sunday, emptying about 30 deposit boxes, according to local media. The bank and local police couldn’t say whether any diamonds were stolen. Clients were lining up at the branch on the city’s Belgiëlei street on Monday to find out if their lockers were affected, AP reported. It’s unclear whether diamond traders use the bank to store inventory. “The bank does not know the contents of the safes. The customers involved [have been] contacted,” a spokesperson for BNP Paribas Fortis said in an email to Rapaport News Tuesday. Insurance providers require all customers to declare everything they had in the vault before the lender can divulge what was stolen. On Monday, the insurers agreed to let the bank formally identify an unaffected zone of the vault, enabling it to tell customers whose items were in that area that their belongings were safe, explained Isabelle Marchand, a spokesperson for the Belgian Financial Sector Federation. The bank is now contacting clients whose valuables were in the affected segment, known as the “perimeter,” requesting them to declare the contents of their lockers. “Only when all these clients which have a safe in this perimeter have done their declarations will they start to inform the customers which safes have been broken, or which goods have been stolen,” Marchand added. Police received a call at 1:44 p.m. Sunday reporting a burglary in the bank’s vault room. When the authorities arrived, they found the door to the vault locked, even though the alarm was sounding, police said. Staff members let the police into the room, at which point they found a hole in the floor that led to sewers under Belgiëlei, as well as a connecting tunnel that emerged in the basement of a building on the nearby Nerviërsstraat. Police arrested a 27-year-old man on Tuesday, media reported.